‘Legal highs’ will be banned from midnight. The Psychoactive Substances Act will prohibit ‘any substance intended for human consumption that is capable of producing a psychoactive effect’. 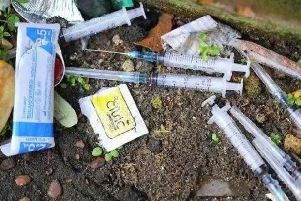 Under the new legislation, dealers will face up to seven years in prison and people found in possession of ‘legal highs’ could be jailed for up to two years - the same as a custodial penalty for possession of a class C drug. In addition, police will be handed new powers to search for and seize and destroy the substances. ‘Legal highs’ produce similar effects to illegal drugs like cocaine, ecstasy and cannabis. The Government said they were linked to the deaths of at least 140 people in the UK in 2014. But the Office for National Statistics found that in 60 per cent of the fatalities connected to ‘legal highs’ between 2004 and 2013, the deceased had also ingested other substances. The ban has been welcomed by many individuals, organisations and charities - but Dr Adam Winstock, a consultant addiction psychiatrist and founder of the Global Drug Survey, criticised the legislation. He claimed the law will ‘likely push people back towards illegal drugs’.